It's been a crazy busy few weeks, with starting two new jobs, as well as getting stuck into my new gym membership. The weather has been great, which means we've been spending more time that usual sitting in pub gardens and socialising with friends. We've got holidays to look forward to, and then before we know it we'll be in the thick of the pre Christmas build up! Before all that though, I'm hoping we've still got a good few weeks of Summer sunshine left, with barbecues and al fresco dining aplenty. Home made no churn ice cream can be the perfect ending to a barbecue, especially as it's simple to make in advance, and if served in a cone there's no additional plates or bowls to wash.
A couple of weeks ago I shared a recipe for Peanut Butter & Pretzel No Churn Ice Cream, which went down extremely well in our household, even with the self confessed peanut butter hating husband. 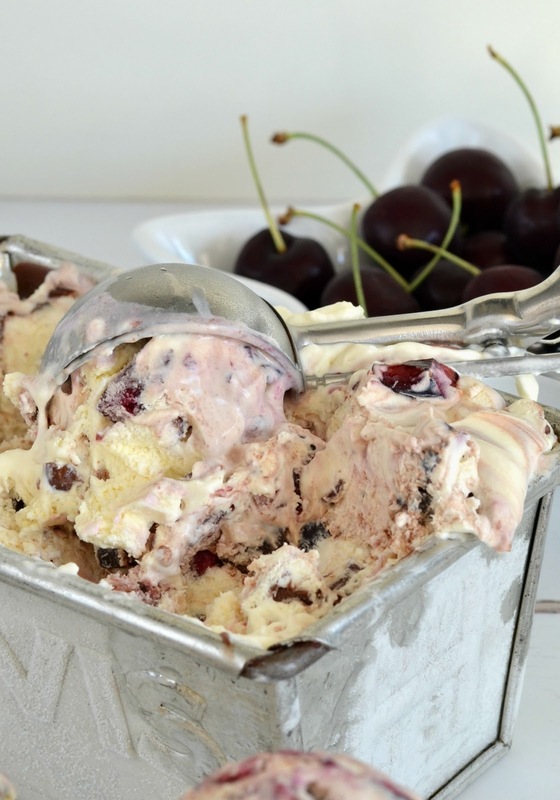 No churn ice cream made using condensed milk is a simple way to make ice cream, which can be tailored to suit all tastes. 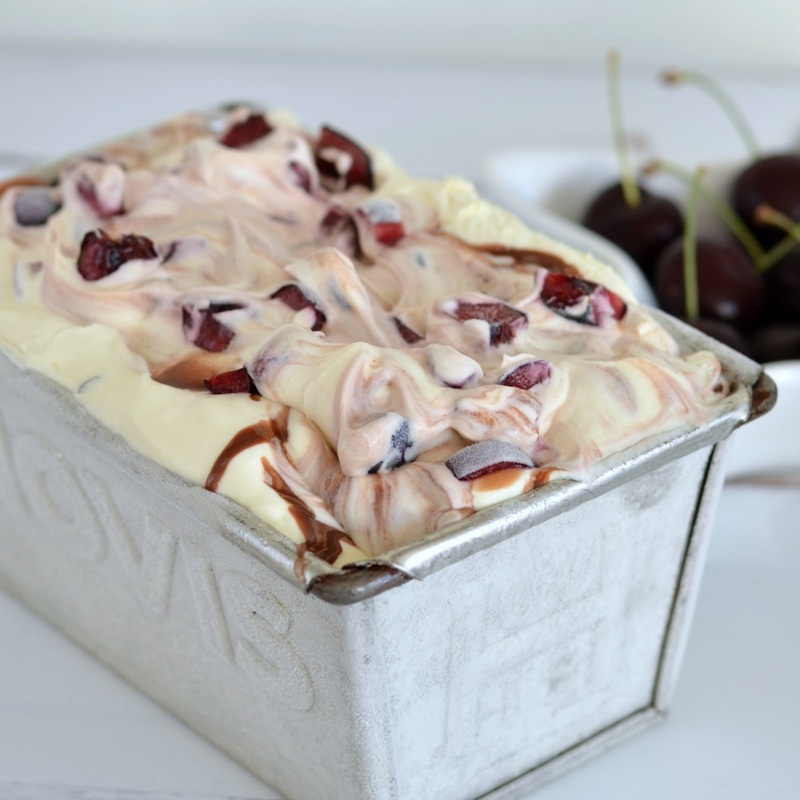 To the basic condensed milk and cream base you can stir through your favourite chocolates or biscuits, such as these previous recipes of mine for Chocolate Oreo Ice Cream, After Eight Mint Chocolate Ice Cream and Caramel Ice Cream, or with home grown fruit, such as this Rhubarb Ripple Ice Cream. 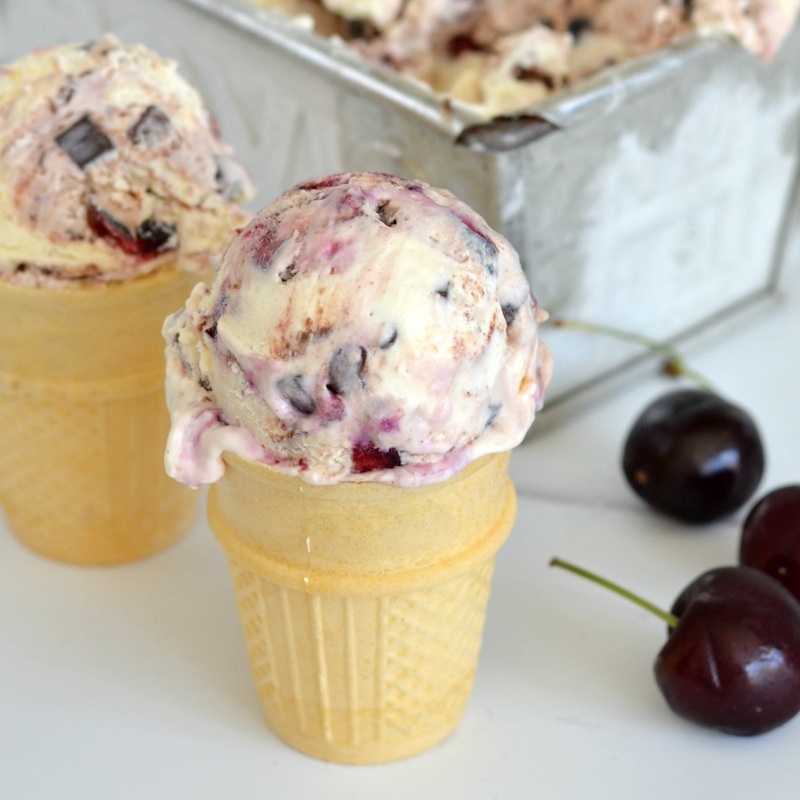 This Cherry Chocolate Ice Cream was also extremely to make, made with fresh seasonal cherries, dark chocolate chunks, and a little Nutella. 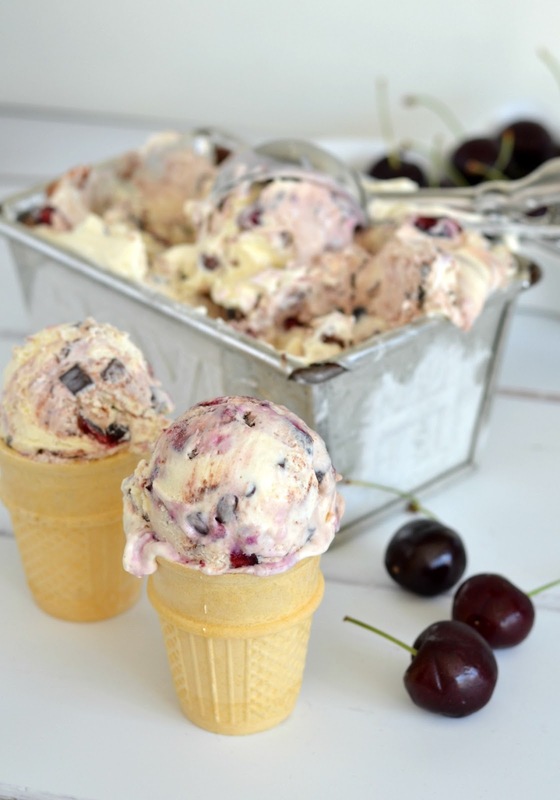 Once you've made your ice cream you then need to make sure you freeze it at the correct temperature - too cold and you'll need a chisel to serve it, and not cold enough it will begin to thaw. The arrival of our Samsung American Fridge Freezer from AO came just at the right time for us; in the middle of a heatwave. 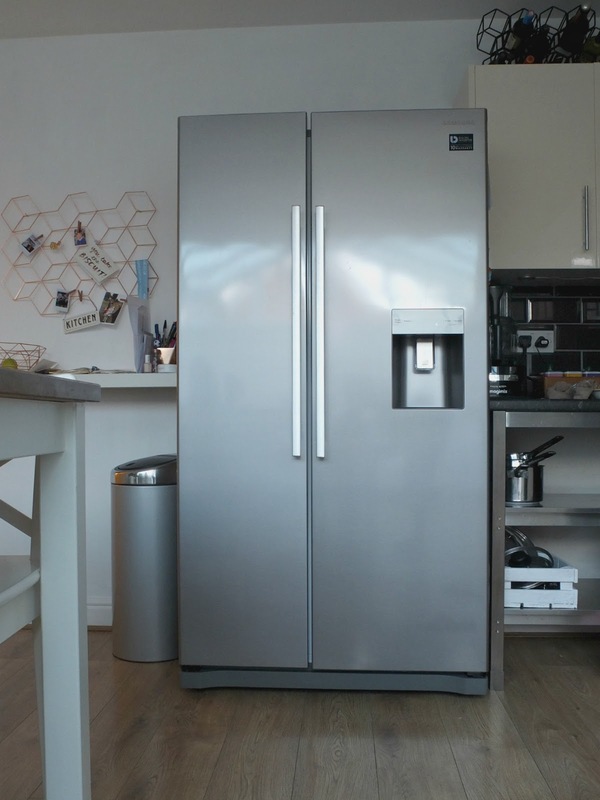 The large capacity fridge and freezer with all around cooling, means that even when it's full to the brim, all the food is evenly chilled at the correct temperature, without any warmer or colder spots. The Brita water dispenser is ideal if you want to have cold water on tap without the need for plumbing in your appliance. The large water container can be easily filled, and once chilled it dispenses cold water at a touch, without the need to open the fridge doors. Perfect for this hot weather! It's also a bit of a looker..